Typically the most popular form of wedding ceremony abroad is the civil one. It is a very short ceremony performed by the mayor or the registrar of the closest town hall to the wedding location. 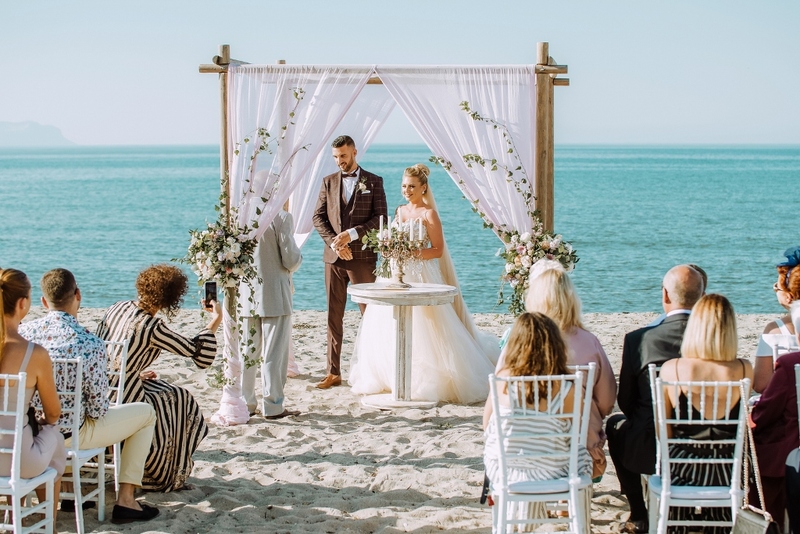 The civil ceremony in Crete lasts about five minutes and can be held either indoor or outdoor in authorized locations.So, if you’ve something in mind, it’s worth discussing it with our wedding planner, who’ll help you find out whether it’s possible to have your wedding ceremony there. You can customize the wedding ceremony by expressing your own personal vows to one another or by having some good friends or family members perform a reading. The certification is legally binding all over the world and it has nothing to do with any religious beliefs.